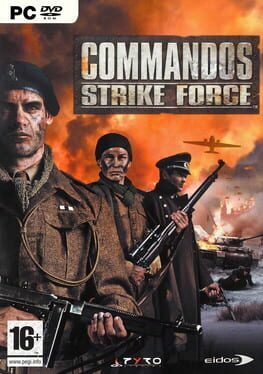 Commandos: Strike Force is a first-person shooter video game and the fifth installment of the critically acclaimed Commandos series. 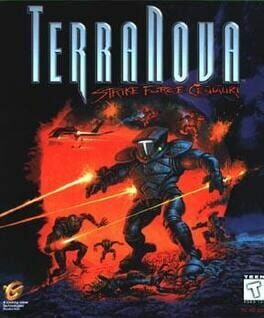 It is developed by Pyro Studios and published by Eidos Interactive. Released during the first months of 2006, the game makes a departure from the first four games. Although the missions are set up in a similar fashion (several different objectives, some to be achieved through stealth, others through use of force) and in most occasions the player is allowed to change between different characters, this is the first game in the series to apply a first-person perspective, like many other World War II-inspired games, in contrast to the overhead view of the earlier games. 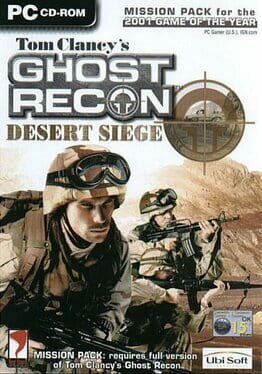 Hence, the game is far more similar to the Medal of Honor or Call of Duty games than to earlier entries of the series. 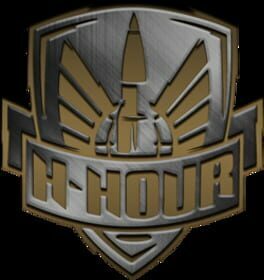 H-Hour: World's Elite™ (H-Hour) is a tactical, team-based military shooter in which cooperation among players is required for success. The game uses a third person perspective to enhance the player's situational awareness. Players can see where they are in relation to the world. This battlefield perspective allows for more strategic game play. 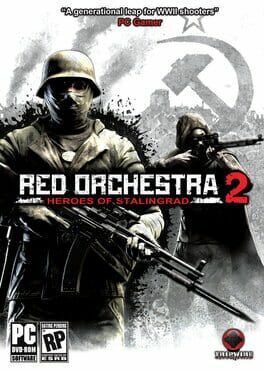 Red Orchestra 2: Heroes of Stalingrad, the leading tactical multiplayer WWII shooter on the PC, will take the award winning Red Orchestra franchise into the next generation of gaming. Cutting edge graphics and audio built using the Unreal Engine 3, inventive features and streamlined realism will deliver an unrivalled tactical shooter experience. East Africa, 2009. A 60-year conflict boils over as Ethiopia invades its smaller neighbor Eritrea, threatening the world's most vital shipping lanes in the Red Sea. An elite team of U.S. Army Green Berets, known as the Ghosts, moves in to safeguard the seas and free Eritrea. As the war rages on, the Ghosts are drawn from Eritrea's shores to the heart of Ethiopia in their deadliest battles yet. 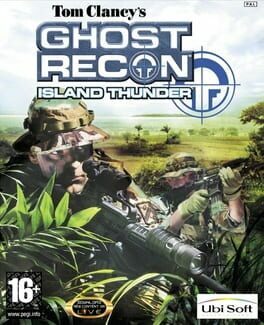 Ghost Recon takes the next step in battlefield realism with Tom Clancy's Ghost Recon: Island Thunder. Cuba, 2009: Castro is dead, and the first free Cuban elections in decades are thrown into turmoil by a drug-funded warlord. The Ghosts, an elite team of U.S. Army Green Berets, are sent to Cuba as part of a UN peacekeeping force to destroy the rebel forces and their mercenary leaders and secure the elections for a free Cuba. ROOT is a cyber espionage themed stealth FPS that lets you play it how you want: whether creeping along corridors undetected or bursting into rooms to blow away all adversaries. Cyber terrorism is a dangerous profession, and risks have real consequences. Uprising44: The Silent Shadows combines third-person action play with real-time strategy. It is a unique combination of the two modes of play, and has an in-depth and interesting story-line which has not yet been used in WWII computer games – the greatest civilian Uprising against Nazi occupying forces – the Warsaw Uprising. It is a story of the Silent Shadows - forerunners of modern day special forces - paratroopers dropped behind enemy lines to organize resistance and use diversionary tactics in the fight against the forces of the Third Reich. An appropriate audio-visual setting combined with cover system (an excellent, proven method of game play), the story-line, and diverse settings ensure a dynamic and enjoyable game not only for players familiar with this type of theme, but also those merely wanting casual entertainment. Engage the enemy across vast outdoor environments and expansive indoor environments as you take control of the US Army's elite anti-terrorist unit. 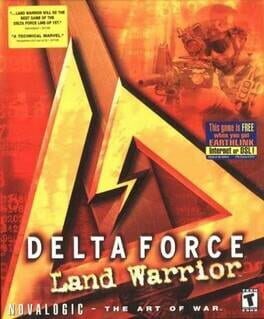 Delta Force Land Warrior™ introduces new weapons and characters for both single player and intense online multiplayer via NovaWorld. 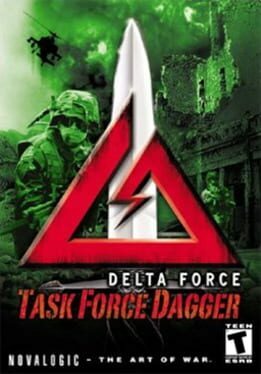 You're a member of the U.S. Army's best kept secret: the elite SPECIAL OPERATIONS unit known as Delta Force, formed to BATTLE TERRORISM throughout the world. When the best of the rest can't handle the op, YOU are called into action. Can you handle THE JOB? FREE NovaWorld™: online gaming supporting up to 50 players. APPROACH THE OBJECTIVE via parachute and use tall grass, water, and rolling terrain to move undetected. TAKE CHARGE with the new Commander's Screen, directing your teammates in single and multiplayer action. CREATE YOUR OWN single or multiplayer battles with the Mission Editor PLUS Over 40 new missions. TERRORIZE THE TERRORISTS with new weapons, new equipment, and fixed machine gun and grenade-launcher emplacements. Engineered specifically for the PC by Red Storm Entertainment, Rainbow Six returns to deliver the tensest close-quarters battles ever experienced online. 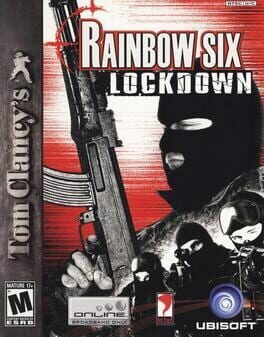 In this episode, Rainbow faces independent terrorist threats, tied together by one common element - the Legion virus. Rainbow must determine the connection between the terrorist threats and the virus. 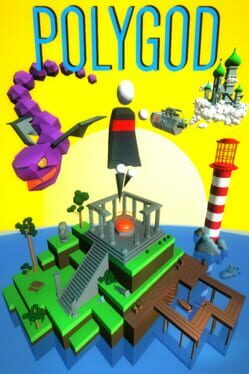 Polygod is a rogue-like, randomly generated FPS with a brutal difficulty curve and epic boss fights featuring arena-shooter style online multiplayer with randomly generated maps. As the US army's elite special operations soldiers you are the most potent 'smart weapon' known to man. You are the 'tip of the spear' for covert operations around the world — you are the first line of attack. Nothing stands in your way. From the war torn streets of Somalia you have been re-deployed to take out targets in Colombia and Iran. As the US military's preemptive strike force you must work with your team to get the job done. 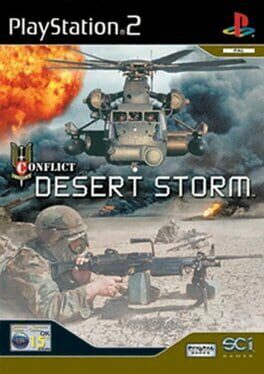 BECOME THE BEST — Play as any one of these Special Forces units: SFOD-Delta, 2/75th RANGER, SEAL Team 6, SFOD-SF Viper Team (Green Berets), CIA Special Operations, UK SAS 22 Regiment, Australian SASR, Canadian JTF-2, Marines Force Recon, and USAF CSAR (Air Force Pararescue) — all the actual Special Forces units deployed in Operation Enduring Freedom. 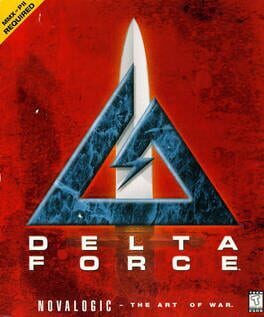 INFILTRATE ACTUAL LOCATIONS — 25 new Delta Force missions! Take over the Kandahar Airport, raid rebel headquarters in Mazar-e-Sharif, ambush a convoy near the Pakistani border and demolish bunkers in the foothills of Kabul. 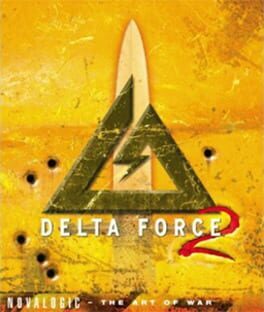 OVER 30 WEAPONS TO CHOOSE FROM — Gear up with a huge arsenal of machine guns, assault rifles, sniper rifles, pistols and rocket launchers new to the Delta Force series. SPY ON THE ENEMY — Plan your attack with the element of surprise using visual intelligence gathered from Unmanned Aerial Vehicles. RAIN DESTRUCTION FROM THE SKIES — Call in devastating air strikes to take out key SAM and SCUD missile sites. LARGE-SCALE MULTIPLAYER — Create your own multiplayer games and maps with the mission editor. 10 new multiplayer maps included! *Battle online via NovaWorld. In EVE: Valkyrie, you are in command of a heavily armed fighter in the most realistic dogfighting game available on any platform. Immersive VR technology puts you right in the cockpit for visceral team-based action. EVE: Valkyrie is an a multiplayer dogfighting shooter that has been built from the ground up to harness the very latest advances in virtual reality technology. It is an accessible and immersive experience that fulfills the fantasy and thrill of being a real spaceship pilot in the midst of combat. Set deep in the lawless regions of the EVE Universe, the Valkyrie are a breakaway mercenary faction formed from the infamous Guristas pirate organization. Led by the enigmatic Ran, they are guns for hire, seeking profit or vengeance and preying on other pirate factions who get in their way. Immortalized via the use of stolen clone technology and genetically enhanced for combat, Valkyrie pilots fly without fear and without mercy. 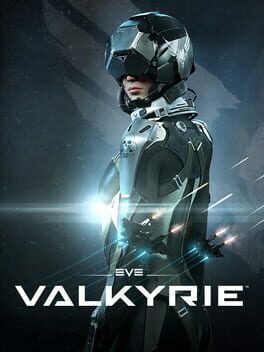 Developed by CCP Games’ Newcastle studio, EVE: Valkyrie is the boldest realization of virtual reality space combat, combining immediate visceral action and tactical depth. It will launch day and date with the Oculus Rift on PC and Sony’s “Project Morpheus” on PlayStation 4. In Filthy Lucre, where you will infiltrate Britain’s criminal network to help your rotten boss take out an equally rotten rival gang’s operation. Every single mission can be played your way; go in all guns blazing or go dark and avoid all enemy contact. With over 30 upgradable weapons and gear items, you will never be able to blame your tools.